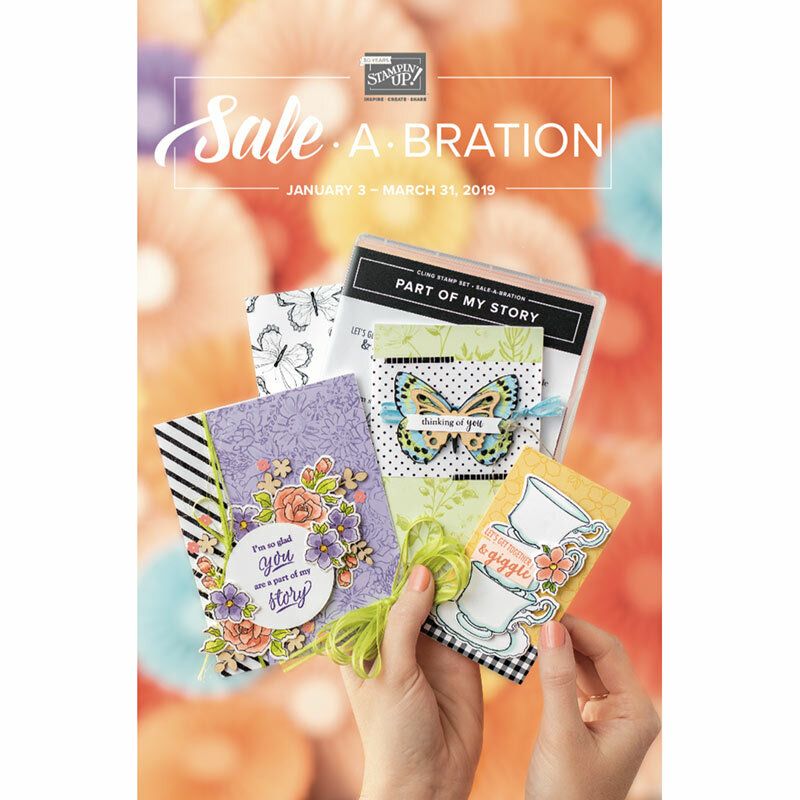 CardMonkey's Paper Jungle: New Year's THANK YOU CARDS Blog Hop - Day 2:New Year's Day! New Year's THANK YOU CARDS Blog Hop - Day 2:New Year's Day! Hoppers, the message on Day 1 started to get too long and unwieldy to edit, so I hope you don't mind my continuing the fun on this new post. Officially, it's now DAY 2 of the Hop -- Happy New Year! I hope you all kissed your honey and called your loved ones to wish them the best in 2011. 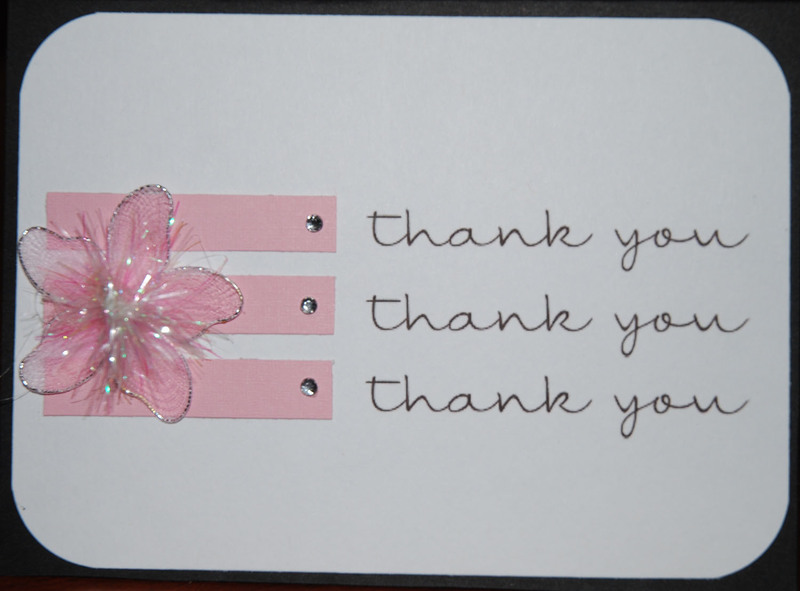 This is CardMonkey's Card #4 on the Thank You Card Blog Hop. If you missed the previous cards, please do scroll down to see "Older Post". I wouldn't want you missing out on the previous CANDY and inspirational ideas. 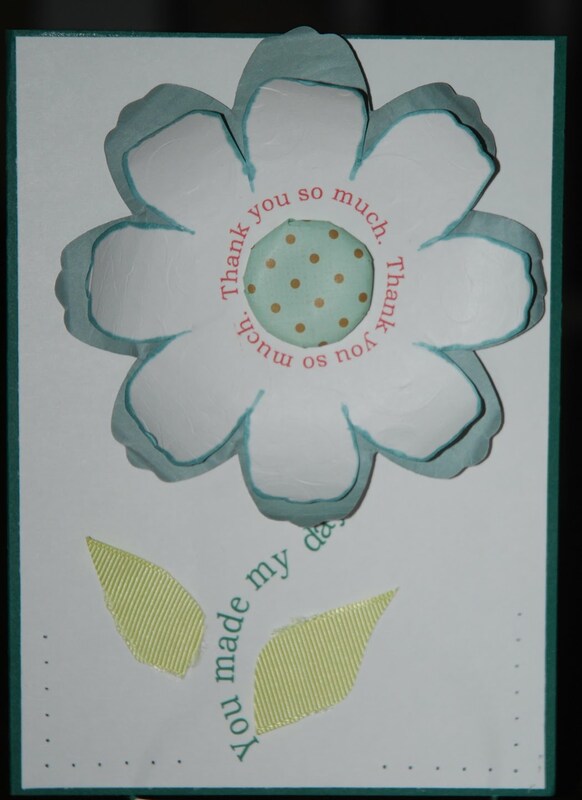 This very simple card was in response to my Dear Hubby's reaction to Card #3, the Floral card. "It's nice, but very girly," he said. So I huffed myself back up to the Craft Loft to try to make a Thank You that was masculine. I'd be remiss if I didn't give a shout out to Cricut Search for help on this card. My Sistah Shawn advised on her post (at Crafty Chic's blog, link HERE) suggested that we hoppers search the term THANK YOU on her site. There, I learned that Cricut's Zooballoo cartridge had this very nifty THANKS image already in card format. Believe it or not, it was the first time I used that cartridge that's been in my collection like forever, and I would never have looked if it wasn't for Cricut Search. So thanks, Shawn! 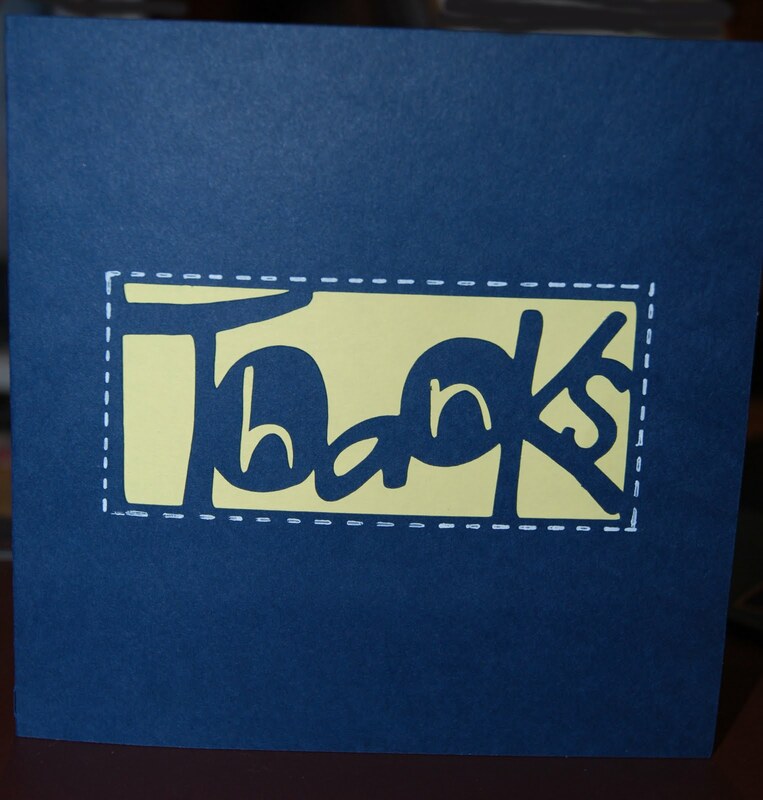 I loaded my Cricut mat with a 12x12" sheet of navy blue paper, hit "Fit to Page" and the CARD option on the THANKS key, hit CUT and TAH-DAH! How easy-peasy is that?! I lined the card with a sheet of regular yellow paper, and just because I could, I faux-stitched an outline using a white pen. WIN BLOG CANDY! 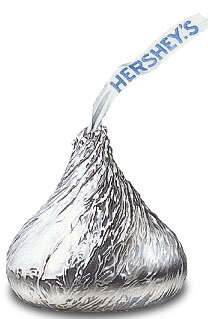 Okay, if you've been following along, you can look for the picture of the Hershey's Kiss on my blog for the featured BLOG CANDY in exchange for your comment on that Card. SO for Card #4 here, I will send one lucky winner A BRAND NEW, in box, UNUSED Cricut ZOOBALLOO Cartridge, just like I used to make this card! To win: Post a comment here about Card #4, for one chance to win the matching Blog Candy. If you comment on the other cards (1-3), you'll get an additional chance to win that matching Candy. Become, or let me know you are a follower, and you'll get an additional entry to the GRAND PRIZE (Cozy Cover). 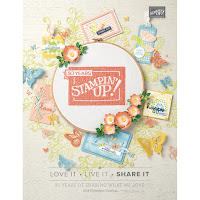 Please continue on the Blog Hop by visiting Miss Adri. (Click name to be taken there.) Enjoy the trip and be sure to check back here at CardMonkey for additional cards and candy posted throughout the weekend! 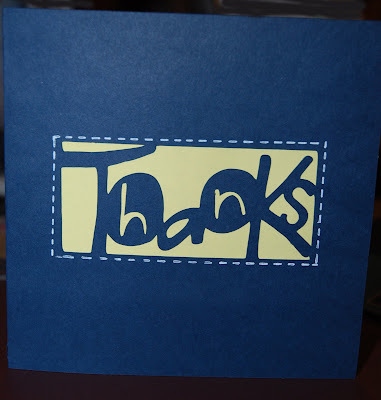 I always need thank you cards for school, but never seem to have any on hand. I like the font on this card. I just loved how you used the different fonts!! Already a follower Love card #4. I really like your card #4. It's so versatile, you could give it to anyone/any age! Voila! easy peasy love it. I use Cricut Search ALL the time. It's amazing what you can find in your carts. Thanks for the giveaway. I really like card #4!!! Card # 4 Is a winner very cute! I like this card, nice, easy, and masculine! Ooh, I have zooballo! I'll have to try this one! Nice card! I love Zooballoo & I love Cricut Search!!! Always need ideas for cards for men. They just don't appreciate glitz & bling do they? Thanks for chance to win something to be creative with!! Great card, and would be so easy to mass produce! Love it! Very nice thank you cards! such a simple and cute idea...love it! Thanks for a great idea for a not so goirly card (which I usually make!). Thanks for the opportunity to win all the blog candy! You are so generous!!! :) I would love to be able to duplicate your awesome card (& my kids would like all those cute animals on the Zooballoo Cartridge)! I do like that it's versatile-masculine enough for a guy, but great for anybody! Really like how you did the Thanks....cute! Card #4 - I love how the word 'Thanks" looks on this card.